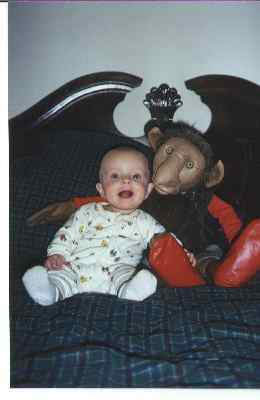 Keegan and Gnome Tom. Do you suppose Gnome Tom is sharing some of his wisdom that he's acquired in his 250+ years on this earth? I think he's just captivated by that wonderful smile.